Click on the image below to download Tiru Murugan screensaver (2,245 kb). 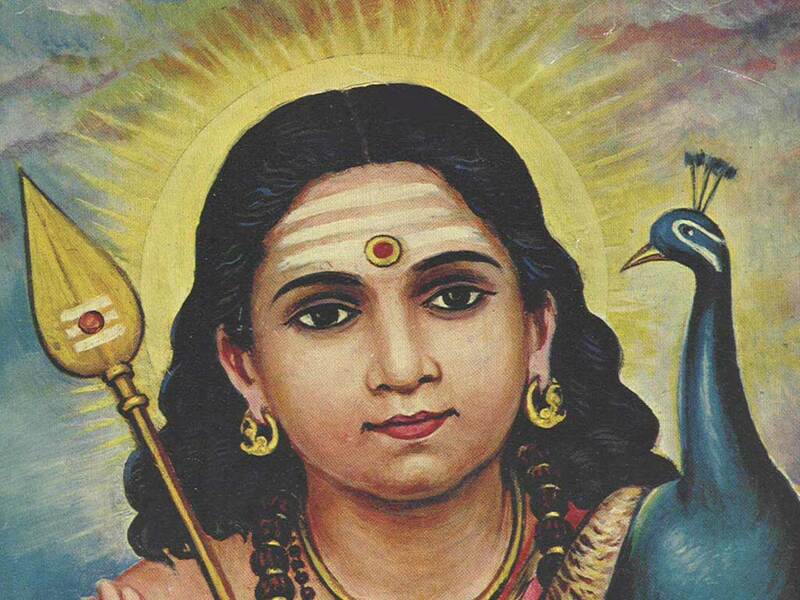 Save the file Murugan_bhakti.exe to your hard drive and open it. An installation wizard will guide you. 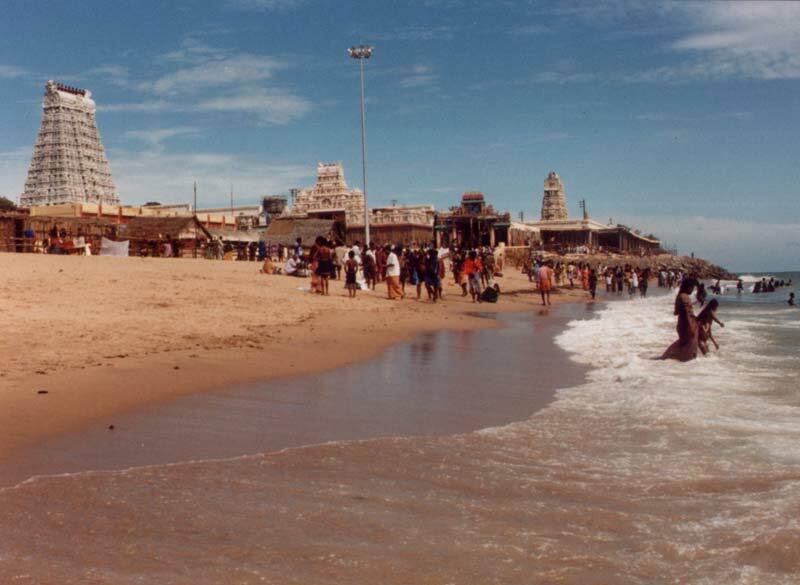 Brighten up your day with a customized desktop wallpaper featuring Tiruchendur Seashore Temple or Murugan Jñāna Pandita. 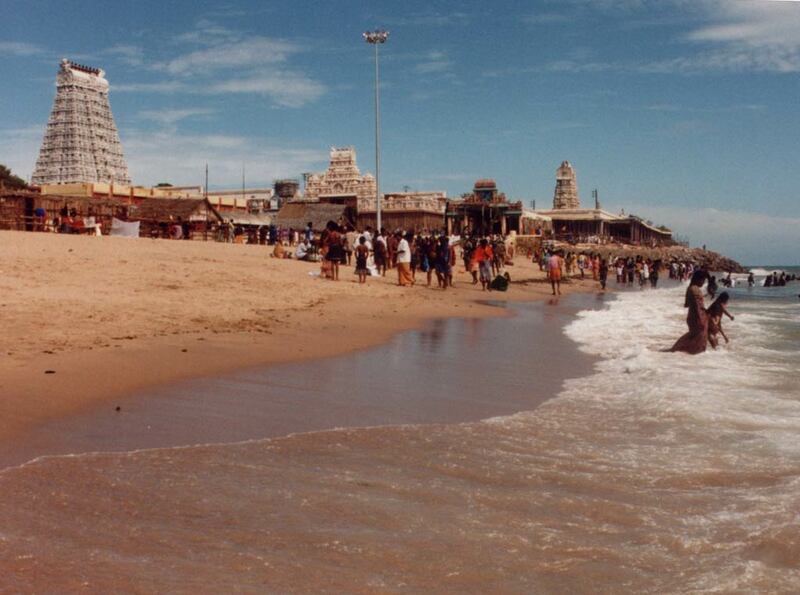 Tiruchendur Seashore Temple for 800x600 pixel display (45 kb). Click here for 1024x768 pixel display monitors (80 kb). To install, see directions below. 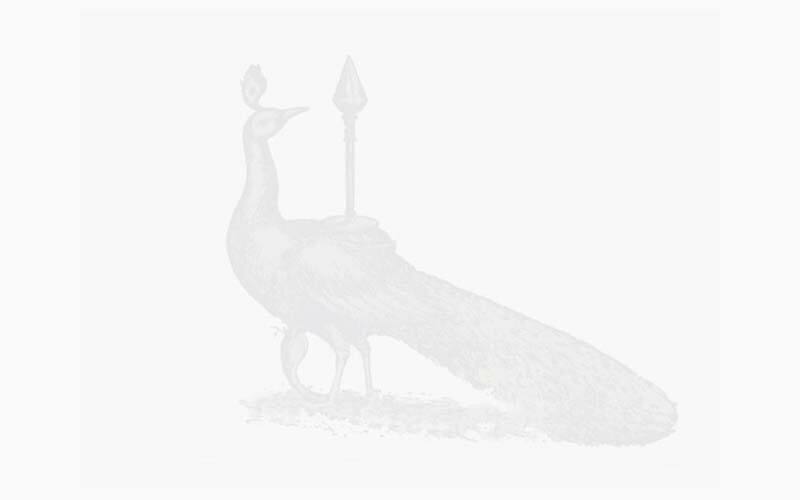 Śrī Jñāna Pandita: Murugan as Expositor of Gñosis with His symbols the Vēl (Axis Mundi or Spear of Wisdom) and vehicle/totem the peacock/phoenix. Behind Him dawns the rising sun symbolising the Awakened Mind (Bodhi). Murugan as Śrī Jñāna Pandita, Expositor of Gnosis with His symbols the Vēl Āyudha or Spear of Wisdom and vehicle/totem the Peacock - Phoenix. Behind Him rises the morning Sun symbolising the awakened state (bodhi) of the jñāni or Comprehensor. Allow the graphic files time to display fully. Click upon the picture size matching your display monitor size in pixels (choose 800x600 if you are not sure). RIGHT-click upon the full-size image. Save the file to a folder on your hard drive. Use the "browse" function to point at the file you have saved on your hard drive. Your desktop should display the selected picture.